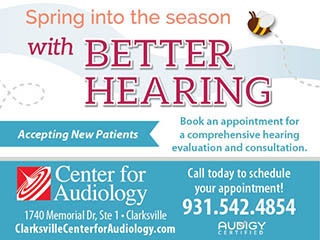 Fort Campbell, KY – It is that time of year again! Operation Homefront Tennessee and Kentucky Chapter is preparing to help Military Families in need during the upcoming holiday season through their Holiday House. And you can help! Holiday House is working to raise $10,000 in donations this season. We are 30% there, but need YOU to help us reach our goal and beyond! Your donation can be personal or corporate; in any amount. Operation Homefront Tennessee and Kentucky Chapter prepared Easter baskets for young military families. You can also help us reach our goal by donating new toys. Our greatest need is age appropriate toys for infants and teenage girls. Toy donations can be delivered to our Fort Campbell location at 7104 Hedgerow Court, Fort Campbell, Kentucky. Monetary donations can be made online or mailed to P.O. Box 2437 Fort Campbell, KY 42223. Holiday House eases the holiday stress of Military Families who find themselves in need during the holiday season and may find providing a holiday gift for their children this season to be hardship by allowing each approved Military Family to “shop” for one toy and one book per child and one game for the Family at our Holiday House location. Operation Homefront Tenessee and Kentucky Chapter had a DVD Give Away during Week of the Eagles 2009. Families who meet the criteria for the Holiday House program will be recommend by their Service Member’s command; command will ubmit an application to Operation Homefront Tennessee and Kentucky’s Holiday House on the Family’s behalf. Families that are approved by the chapter’s Holiday House board will receive a shopping pass for a specific time to “shop” at our Holiday House location on Fort Campbell. 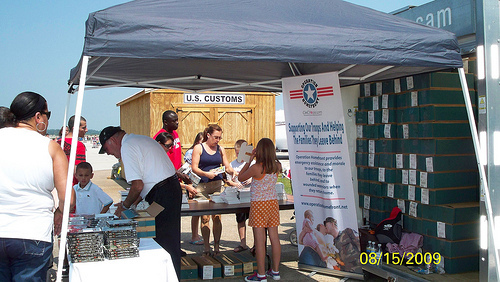 A 501(c)(3) nonprofit organization, Operation Homefront was formed in February 2002. It was developed to support the families of deployed service members immediately following 9/11. Operation Homefront is headquartered in San Antonio, Texas, and has evolved into a major nonprofit. 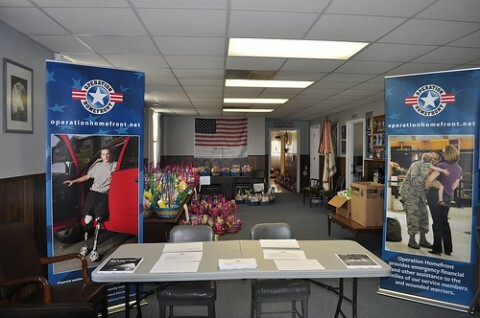 The organization currently provides services to military families across the nation with 23 chapters serving 32 states. The national office handles cases in states that do not have their own chapters. The target population is American military personnel and/or their families who have unmet needs due to financial hardship, death, injury, or physical or mental detriment as a result of service in Iraq or Afghanistan. These may include active duty, Reserve, National Guard and veteran service members. Operation Homefront provides emergency financial and other assistance to the families of our service members and wounded warriors. For more information, contact Tina Englen, Chapter President for Operation Homefront Tennessee and Kentucky. Phone: 270-412-9105 Email: Tina.